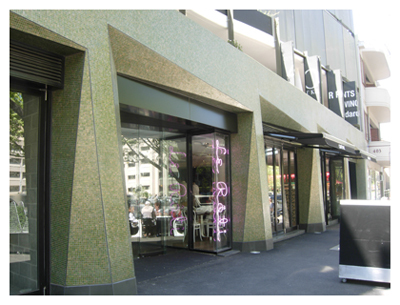 At the end of our previous posting on the new Cafe Vue at 401 we did say we'd be back and we've been true to our word. This time, we're here for lunch. 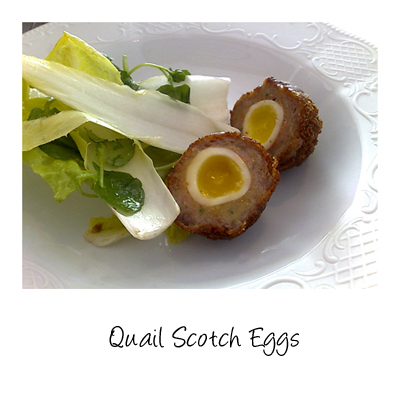 The website for the new cafe is now up and running so you can take a look at the menu here. 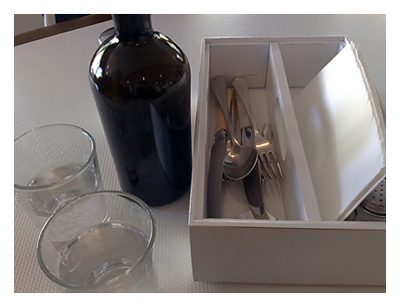 When you order, your cutlery and other items are brought to your table in this neat box. Presentation is an 11/10 for the Scotch Eggs. As you order them by the quantity we had just expected a dish with the two eggs on it but to surprise they are presented individually, halved so you can view their perfect soft yolks and with a lovely spankingly fresh salad of witlof and watercress. There's also a good amount of meat encasing the yolk, nicely spiced and well flavoured. For $3.50 I don't know how they do it. 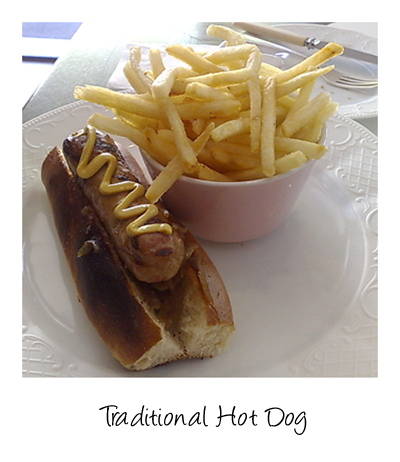 Served on a brioche bun, there's onions and good lashing of mustard to complement the well flavoured dog. Next time, it might be interesting to try it with the Vue Truffle Mustard. 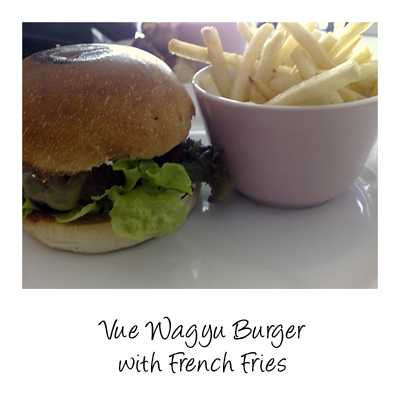 Hard to believe this is our first try of the famous Vue Wagyu Burger. It's a good thick and dense patty of meat, still moist and quite filling. There's also bacon, cheddar and assorted leaves. 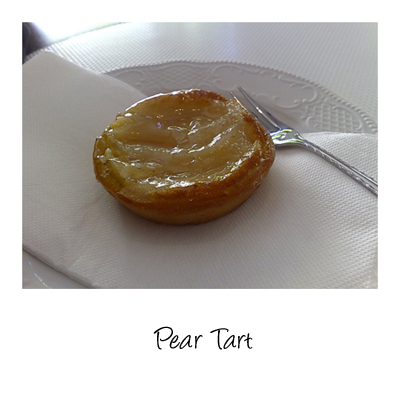 Perfectly short pastry, buttery and rich, simple poached pear topping. Hard to classify this offering, it's a mousse of sorts that sits on a thin sponge base. The mousse is obviously firm enough to have been moulded into this shape, in the centre is a surprise, a type of white chocolate custard. 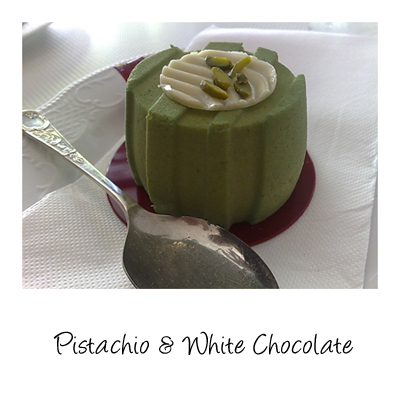 Delicious especially if you are a pistachio fiend. I had thier wagyu pie which was amazing as well. I still need to try out the burger- looks good and great pics!